2014 is the Food and Agriculture Organization of the United Nations’ year of family farming. Moreover, the African Union designated 2014 the year of agriculture and food security. Family farming, and hence food security, in Africa would not be possible without the contribution of women, who make up for circa 50% of small holder farmers. The majority of agricultural production in Africa is in fact in the hands of smallholders. Nevertheless, women´s role in agricultural production is still somehow not at the forefront of the debate on food security, as it should be. Against this background, comes the timely call from UN Women’s executive director, Phumzile Mlambo-Ngcuka, for the Guardian newspaper to give women the opportunity to turn their small farms in sustainable and profitable businesses. This aim is hardly attainable given the unequal share of natural resources among genders existing in numerous small holder farming societies. This condition mirrors women who have limited access to land and water, leading to definitions of hydropatriarchy: a masculine system of water control and management (Zwarteveen 2008, 127). The study of irrigation systems is particularly important in the context of small holder irrigation farming in Africa, where the highest population growth is expected. Accordingly FAO, World Bank and IFPRI (2010) point to the need of improving knowledge about and extending irrigation systems in this continent to bring about food security. Hence, my article focuses on two small holder irrigation systems in East Africa: Engaruka, Tanzania and Sibou, Kenya. Irrigation systems can be seen as long term landscape investments that enhance productivity beyond the current season and have thus been defined academically as landesque capital (Blaikie and Brookfield 1987; Håkansson and Widgren 2014). Again, in most academic publication, it has been argued that irrigation systems are the results of the systematic work of the men. In my article I challenge this assumption by analyzing the crucial role played by women in assisting men in the building and maintenance of irrigation channels. Moreover, women are responsible for sowing, weeding, and harvesting which is also a landscape investment. In fact, however invisible, recursive and difficult to measure, these activities are fundamental in maintaining, and potentially creating, soil fertility, which Blaikie and Brookfield (1987) had also categorized as landesque capital. 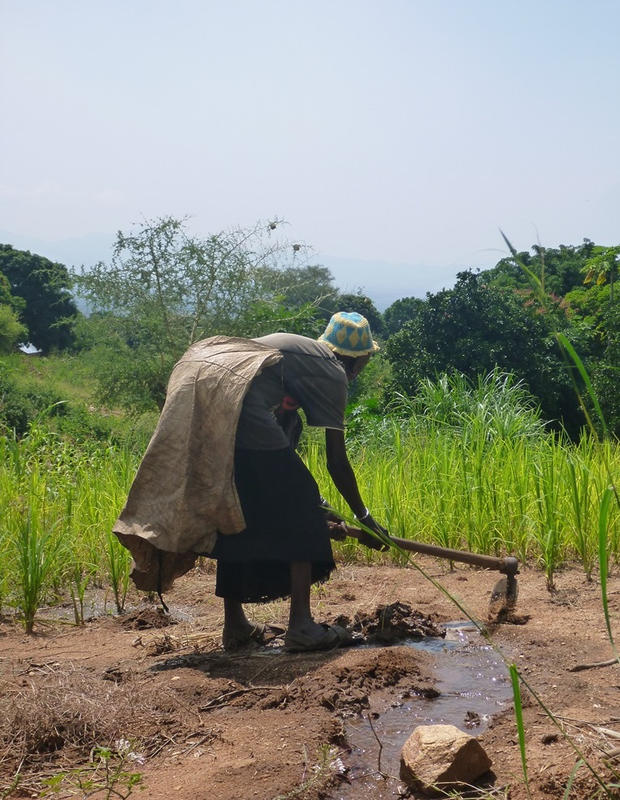 If academia is not ready to question its own masculine mantra in the production of agricultural landscape, it is unlikely to envision gender-inclusive agricultural policies where women are truly taken into account as stakeholders in the management and control of irrigation. UN and African Union initiatives to bring the spotlight on African farming will thus be meaningless. 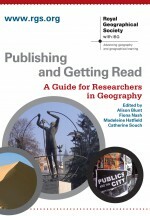 About the Author: Martina Angela Caretta is a PhD candidate within the Department of Human Geography at Stockholm University. This entry was posted in The Geographical Journal and tagged Family Farming, Gender, Hydropatriarchy, Irrigation on July 8, 2014 by RGS-IBG Managing Editor: Academic Publications.